Desk jockeys need not apply. The Workman’s is the ultimate utility kilt – our flagship model built for staying ventilated during those long, hot days on the worksite. 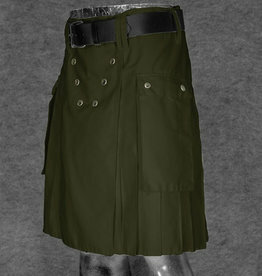 Discover the gold standard of luxury and function with the Survival Utilikilt! A favorite among the hiking crowd, the Survival has more storage space than a '57 Buick. The Utilikilt that started it all! The Spartan is lightweight, comfortable and comes with deep and functional side saddle cargo pockets. It is our simplest and most practical Utilikilt. 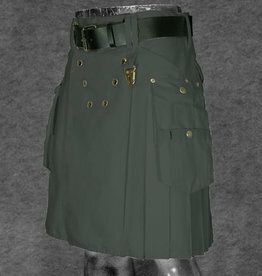 In the shop, we call it "The Office Kilt". The Mocker is our answer to ubiquitous (and, should we add: tight, uncomfortable, wimpy and tremendously lame) Dockers®. The Postal Mocker is our answer to ubiquitous (and, should we add: tight, uncomfortable, wimpy and tremendously lame) shorts worn by US Postal Carriers!